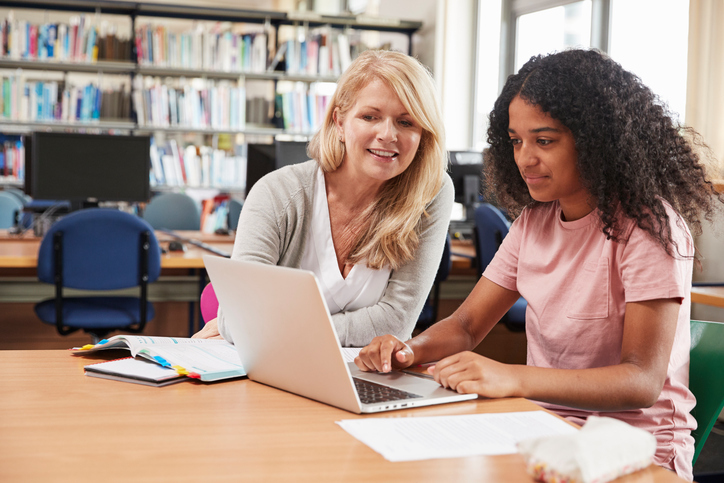 Preliminary findings from a survey administered by AASA: The School Superintendents Association show that many school districts plan to use funding from the Student Support and Academic Enrichment grant program to improve school counseling. The Student Support and Academic Enrichment grant program, commonly referred to as Title IV-Part A grants, were created in 2015 under the Every Student Succeeds Act (ESSA). The Title IV-Part A grants are flexible funding block grants, meaning a federal need-based formula is used to distribute funding among the states. Each state is then responsible for allocating the money to school districts using the same formula. Title IV-Part A funding has three allowable uses: providing students with a well-rounded education, supporting safe and healthy students, and supporting the effective use of technology. More than 620 school district leaders across 40 states, two territories, and the District of Columbia responded to the survey; 43 percent of respondents indicated that they intend to spend some of their allocation on school counseling. When asked to identify ways in which they intended to use funds within the well-rounded education category, 37 percent of respondents indicated that they plan to invest in college and career counseling. Respondents also indicated that they intend to put funding toward school-based health and mental health services, AP/IB courses, AP exam waivers, dual or concurrent enrollment programs, professional development, school safety equipment, and other allowable uses. NACAC is part of the Title IV-Part A Coalition, which advocates for increased funding to this grant program. Learn more about the coalition here. Julie Kirk is NACAC’s government relations manager. You can reach her at jkirk@nacacnet.org.